The Sandals Barbados welcomes you. Always good for a refreshment: the large main pool with the Swim Up Bar. 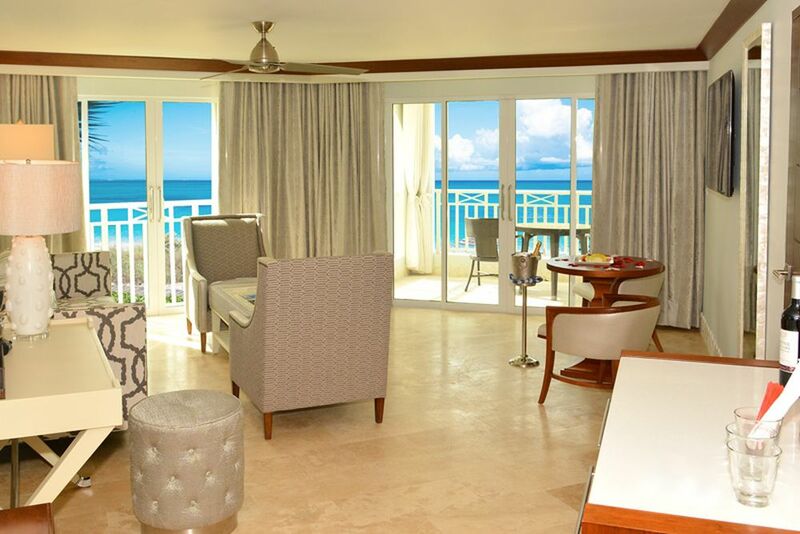 The Sandals Barbados guarantees your relaxation. 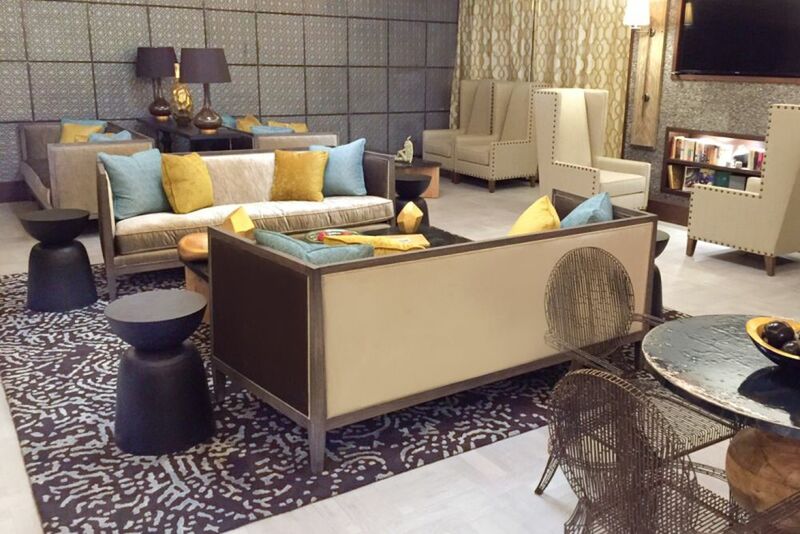 Maritime and contemporary decor awaits guests at the Red Lane Spa. Lean back in the comfortable lounge. 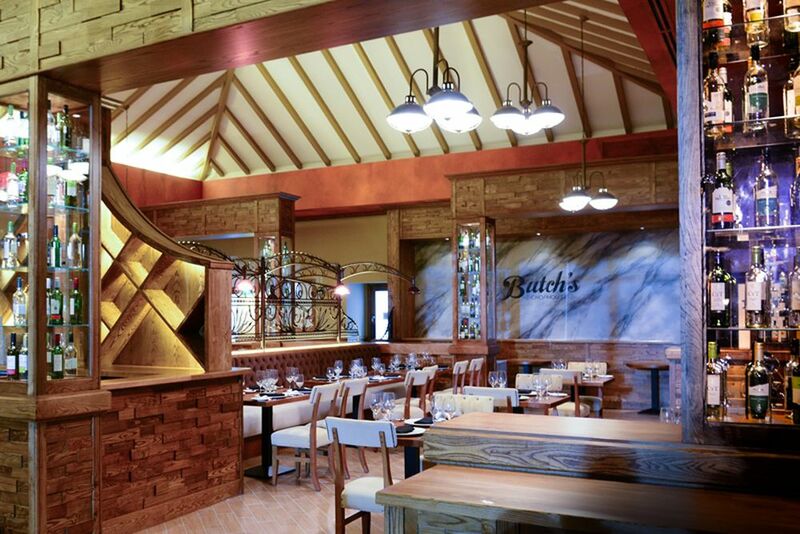 An upscale New York Steakhouse in the middle of the Caribbean - the Burtch's Chophouse Restaurant. Dining with an unforgettable panorama at the Schooners Restaurant. Let the evening end merrily at the Merry Monkey Pub. Breakfast on the balcony with a breathtaking view. The large rooms are lovingly furnished down to the smallest detail. The comfortable living room of a suite. Here you can enjoy your breakfast. 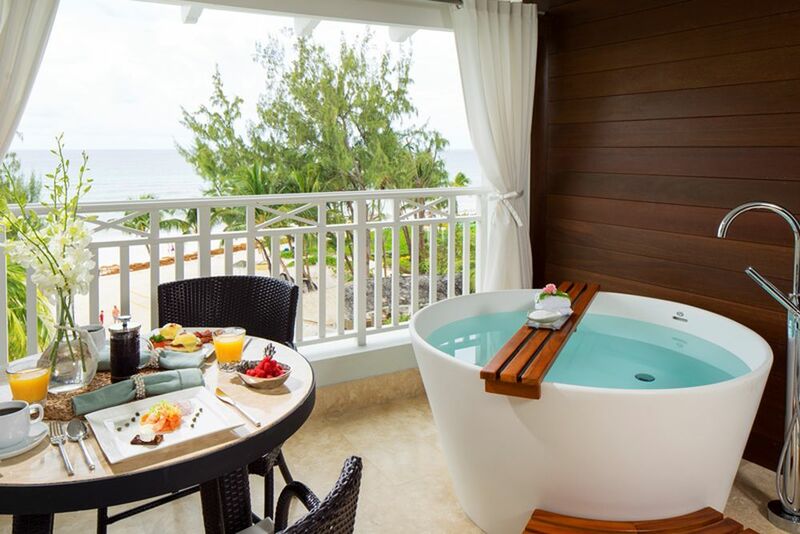 If you're looking for an exclusive and romantic beach holiday surrounded by luxury, look no further than the Sandals Barbados, a part of the Sandals Resorts. Couples are welcome to spend an unforgettable time in the large, elegantly furnished rooms and on the white sand beaches. 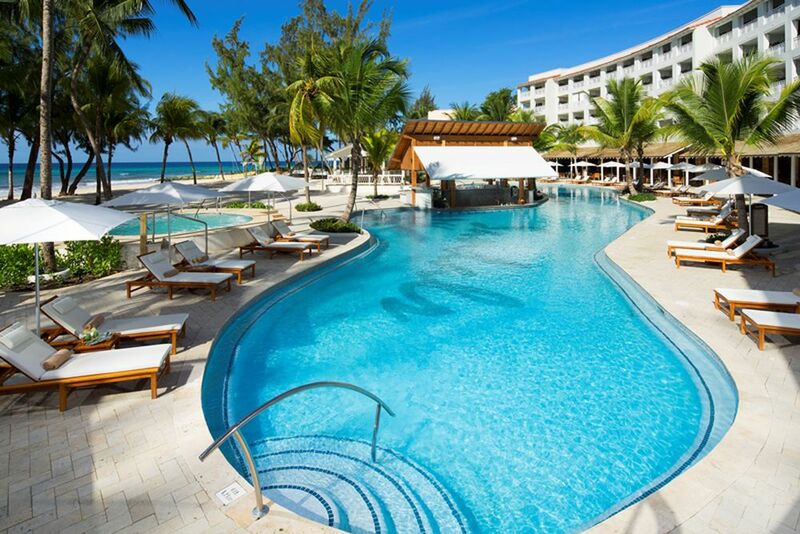 Cool off in the pool or in the largest river bath in the Caribbean and sunbathe against the enchanting backdrop of the beach. music band and much more Contact us to make your dream wedding in the Caribbean an unforgettable moment. With the Luxury Included® concept, the resort offers an all-inclusive experience. In addition to all gourmet restaurants, all alcoholic and non-alcoholic drinks, varied water and land sports, as well as airport transfers, taxes and gratuities are included. Located on the pristine Dover Beach, where the Caribbean meets the Atlantic Ocean and endless sunshine accompanied by gentle sea breezes, the Sandals Barbados invites you for the beach holiday of a lifetime. The resort is also within walking distance of the well-known St. Lawrence Gaps, famous for its restaurants, nightlife and shopping options. Grantley Adams International Airport is a 15 minutes' drive away. Furthermore, the hotel allows your dream wedding: For stays of 3 nights or more, an exclusive wedding package is included in the price. 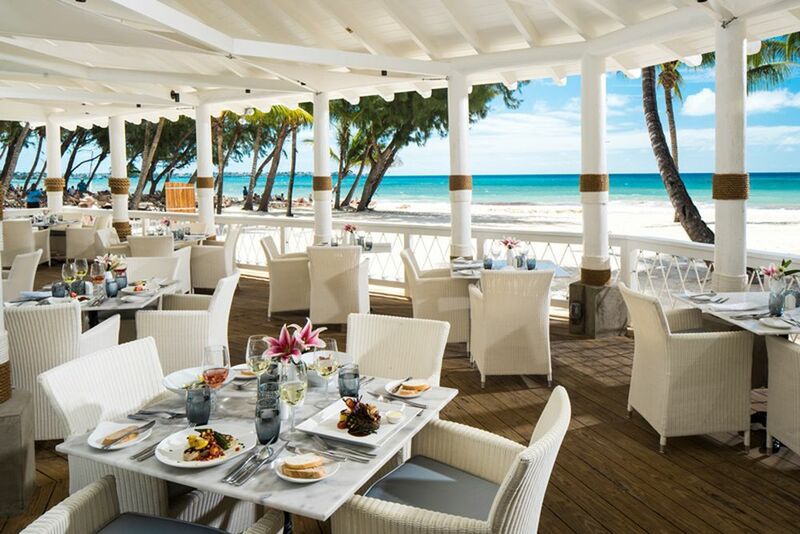 The Sandals Barbados spoils its guests with the exciting Discovery Dining concept . In a total of eleven restaurants you will be taken on a tasty journey around the world, as each restaurant offers a variety of different cuisines. Regional specialties are served individually and with different cultural influences. 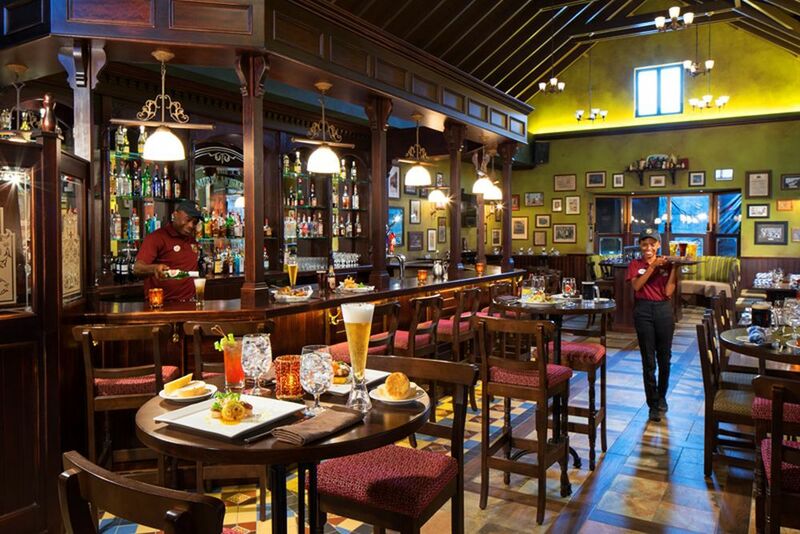 The Bombay Club serves its guests, in addition to breakfast, traditional Indian cuisine in the evening. Meat lovers will find the place to be in Butch's Chophouse, with something for every taste in this upscale New York Steakhouse. Regional cuisine is provided by the schooners. Here you can order and enjoy Caribbean seafood and fish à la carte. At the Soy, a sushi restaurant, guests can enjoy a different kind of fish. In addition to the numerous restaurants, guests can comfortably round off their evenings in six bars and cocktail lounges. 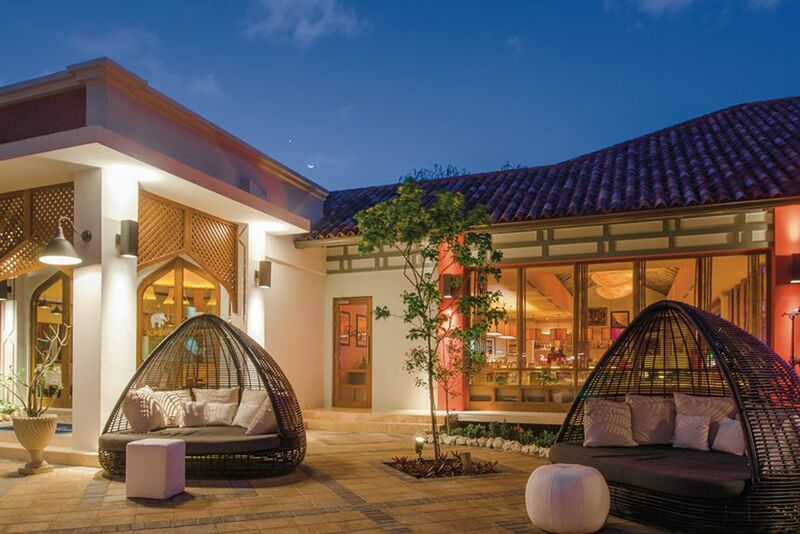 The total of 280 rooms of the Sandals Barbados are divided into 14 categories and spread over different Villages. All rooms have a luxurious ambience and are equipped with air conditioning, ceiling fan, king-size bed, hair dryer, telephone, iron and ironing board, bathtub or shower, safe, iPod docking station, cable TV and coffee maker. Crystal Lagoon Luxury Room - These rooms boast a luxurious bedroom furnished with mahogany furnishings, king size bed with sky, and flat screen TV. The opulent bathroom features filigree details, such as a walk-in shower with white stone mosaic accents. 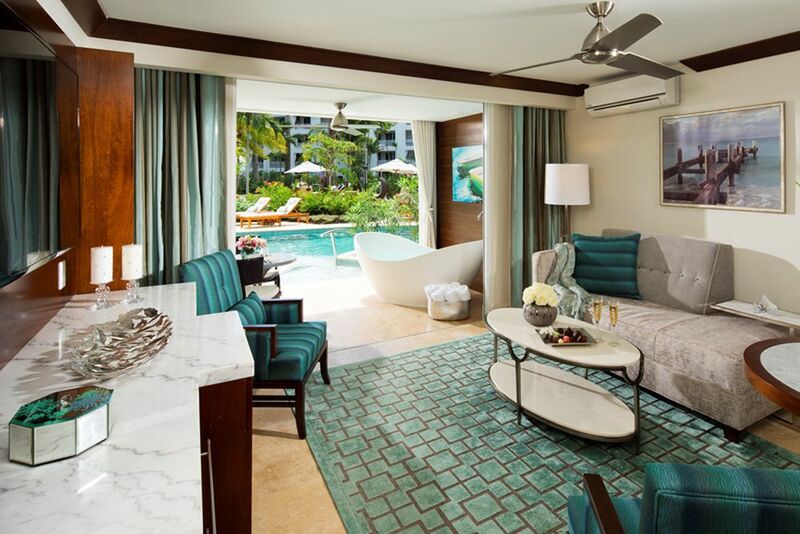 Located on the second and third floors of Crystal Lagoon Village, with a private balcony and bath, guests can enjoy stunning views of the lagoon and tropical garden. Caribbean Village Deluxe Room - Located on the first two floors of the Caribbean Village, these rooms, similar to the Crystal Lagoon Luxury Rooms, are furnished with a luxurious bedroom and mahogany furniture. In addition to the king-size bed with sky, guests will also find a flat-screen TV and a desk. The en-suite bathroom features elegant details, with its small glass mosaics and white pebbles decorating the shower or the tub and shower combination. 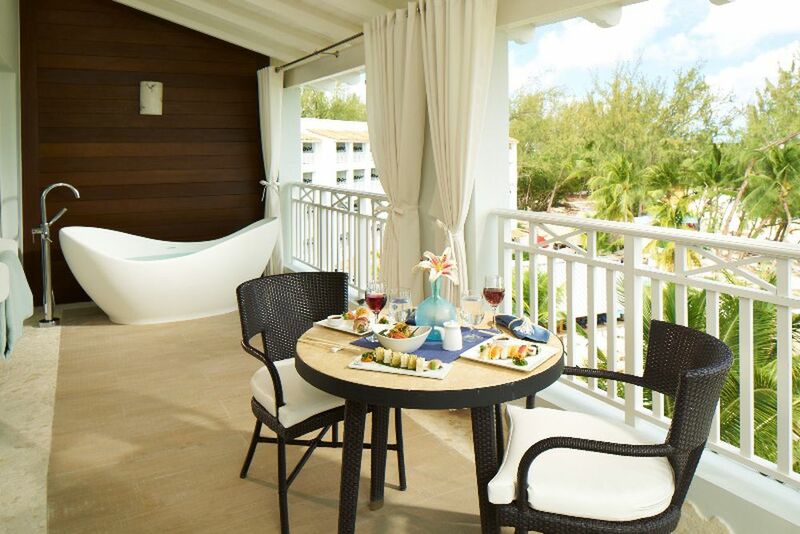 On the balcony or terrace, guests can gaze out over the resort's beautifully landscaped gardens. Other room types and suites available upon request. 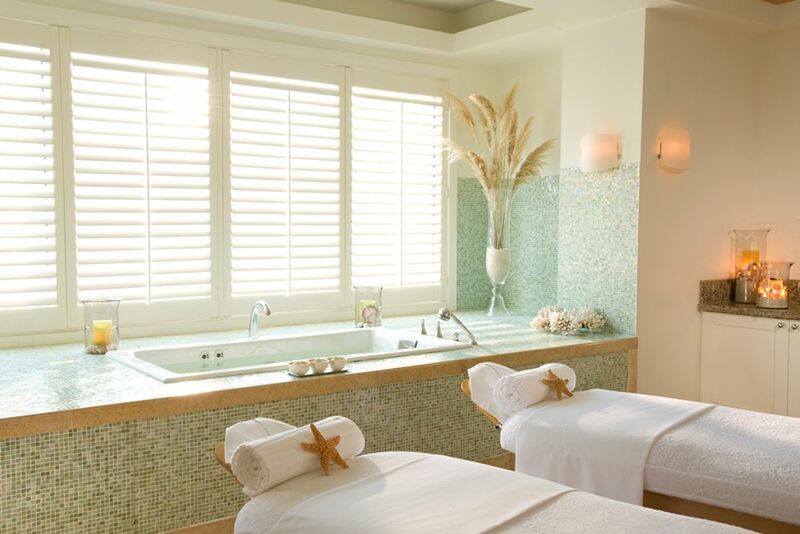 The Red Lane Spa will provide you with complete relaxation in an island atmosphere. The Red Lane Specialists provide an unforgettable experience with your personalized treatments. For training, there is an air-conditioned fitness center with state-of-the-art equipment. Additional courses such as yoga or aerobics are offered at the Yoga Pavillion. You also have the opportunity to use the volleyball fields and play bocce and cricket. For water sports enthusiasts, kayaks, windsurf boards, paddle boards and boogie boards are just waiting to be tested by you. To experience the underwater world, there is also a PADI diving school. In the travel period 01.01. - 31.12.2017, a minimum stay of 2 consecutive nights is required.